Brooklyn based artist Kilo Kish released her new mixtape today called k+, which you'll probably notice right away all the interesting features she has on this project. Acts like Childish Gambino, A$AP Ferg, The Internet, SBTRKT, and more help take some of her tracks to a new level. 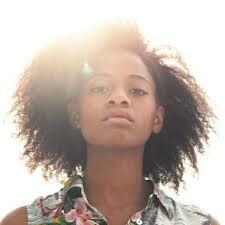 So if you are new to Kilo Kish, let the features drive your attention. Yet, once you begin don't ignore the talent of the singer because she will definitely be around for some time. Stream and download the tape here.